Many homeowners consider purchasing one of the bargain-priced houses available through the HUD Homestore program, but it’s always recommended to get a HUD inspection for the home completed prior to the purchase. The properties available for sale through this program are owned by the United States Department of Housing and Urban Development (HUD), a branch of the federal government. This sector is linked to the Federal Housing Administration which offers a very advantageous mortgage program to prospective home buyers. In this program, the government agrees to back a portion of the loan. This federal backing enables private lenders to offer more advantageous features and financial incentives to buyers, such as a lower down payment. 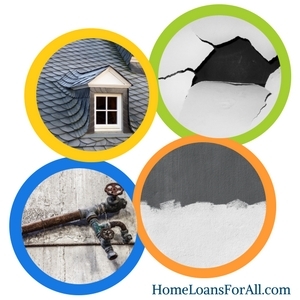 Get Help Pre Qualifying for a HUD-approved Low Credit Home Loan – Click Here! Unfortunately, these mortgages sometimes move into foreclosure when owners miss their monthly mortgage payments. The lender needs to recoup some of their initial investment in the property, so they turn to HUD to help sell the homes. Both the government and the lender use the resale of the home to help make up for their loss. These two agencies are often concerned with selling the house quickly, which is why they tend to have lower than average prices. The downside to purchasing one of these homes is that they are sold completely as is. The government and the lender do not offer any programs or take any part in cleaning up the properties. A foreclosed home may not be in the best shape given that the homeowners did not have the money to make their payments. They may also have been short on the funds necessary to maintain the property. This is why a HUD home inspection is highly recommended on every purchase, even though it is technically optional. An inspection can help to identify any areas that require major attention and should be cause for immediate concern. With the proper professional assisting you in your HUD home inspection, you can avoid falling victim to a home that is little more than a money pit. Who is a HUD Inspection for? Purchasing a HUD home is for anyone who wants to find a bargain on their new house. You must be able to pay in cash for the properties or secure financing from a private lender. These homes may be purchased using an FHA loan if the property qualifies. Potential buyers must be willing to take a risk on these properties because they are sold in as-is condition. HUD will make no guarantees when it comes to the quality or condition of the home. Home buyers who are willing to accept the possibility that they will acquire a fixer-upper are best suited to this program. 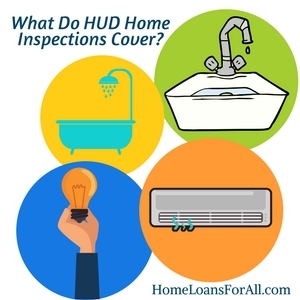 What Do HUD Home Inspections Cover? Before you hire an inspector to take a closer look at a potential HUD property, you should know exactly what that home inspection is likely to cover. Most of the inspections for HUD homes relate solely to the basic necessities of a home. They are mostly concerned with the safety and sanitation of the property than they are with cosmetic issues that might need immediate attention before your move-in date. For example, they will examine the electrical wiring and the heating to make sure that these systems function appropriately. Most of the inspectors you can choose from will likely adhere to the HUD inspection checklist. This list gives you a detailed glimpse at what you can expect your inspection to cover, as well as the areas that don’t fall under this umbrella. What is included in the HUD inspection checklist? The home must demonstrate that it has adequate plumbing and sewage systems to handle your basic sanitation needs. It might have county sewer or a septic system, but either option must be fully functioning at the time of the inspection in order to pass for sanitation. Every property must have space where you can prepare meals and food to feed your family. This is a necessity by HUD standards, so the inspector will be making sure that the kitchen has adequate space, availability of appliances, and even a method to dispose of your waste such as weekly garbage collection or access to a local dump. Every bathroom must have a tub or shower, a flushable toilet in an enclosed room, and a fixed sink for washing hands. They must also have some source of ventilation which is important for preventing the growth and development of mold and mildew in these very moist areas. These small appliances are a necessity for maintaining a safe living space, so the inspector must be able to identify them. In general, there should be a smoke detector on each floor of the house and one in each bedroom. Older homes will be tested for the presence of lead-based paint. This is a hazardous chemical that was used in older structures but should be removed and replaced by more modern formulations to prevent long-term health issues. In an older home, your inspector may test each room of the house for the presence of this type of paint. The home must have electrical systems that seem up-to-date and don’t present an immediate cause for concern. Issues that could send up a red flag for inspectors include breaker boxes that aren’t up to code, exposed wires, and lights that don’t turn on when they are supposed to. The house must also have a moderate amount of lighting in order to create a safe living space. Both of these are major safety concerns that you will want an inspector to take a look at before you make a purchase. They are also very expensive items to fix if they are in need of a major repair or overhaul. Nobody wants to purchase a home that is literally falling apart. A good HUD inspection should include a thorough look at the infrastructure to ensure that the foundation is in good shape without major wood rot or cracks in the concrete, depending on the home’s construction. They should also examine any available chimneys, the roof, the gutters, the condition of the stairways, and available handrails. All of these are necessary to keep your home safe for the future. A manufactured home must also have adequate tie-downs. The roof covers and protects your home from the elements, so you wouldn’t want to purchase a home that immediately needs the roof to be replaced. The inspector will be looking for any suspicious areas that might need more attention, as well as spots inside the home that could indicate a potential leak. All homes must have an adequate source of heating (including a hot water heater) in order to pass a HUD home inspection. This helps your home to maintain comfortable living conditions, even if there is an immediate disaster in the dead of winter. Not all areas will be required to have air conditioning. There should be a source of ventilation for the home as well. Would you want to live in a home that had no running water or had an unsafe supply of drinking water? Most people would prefer to be able to use their water without concern for their long-term health. Safe running water is one of the more serious HUD standards that an inspector will be looking for during their walkthrough. You might have a private well or county water, but they must both be examined. Well water might be sent away for further testing to ensure that no harmful bacteria are present while county water can typically skip this step. Every property should have a means to access the property without having to trespass on someone else’s private property. Your access may come directly from the street, via a driveway, or through a permanent easement on someone else’s property. In some situations, a home could share a driveway with another property and still meet HUD standards as long as the maintenance responsibilities are clearly outlined. We tend to spend more of our time indoors than outdoors in today’s modern world. Air quality is extremely important because it can have health effects that closely resemble allergies or the common cold. Your HUD inspection will include a section for adequate air quality that makes the home safe to live in on a daily basis. A home must have enough space for you to reasonably live in and perform all necessary daily tasks. This includes the presence of necessary rooms like the kitchen and bathroom, as well as adequate square footage. Your HUD inspection checklist will include a section for your living space and how many square feet are actually present. This can help to determine whether the home will meet HUD standards or not. You don’t want to purchase a home that is unsafe to live in. This can mean something as simple as putting locks on the front door and windows. Your HUD inspection will include a look at the general neighborhood as well as the safety conditions within the home. Windows should all be fully operable without missing panes. These can be used as a secondary means of escape in the event of an emergency, so windows that are painted shut or can’t be opened might not pass a HUD inspection. In general, the HUD home inspection checklist includes a lot of details that ensure your long-term safety with the purchase of this property. They might examine the walls, ceilings, floors, and more to determine if there are any immediate and absolutely necessary repairs that can be identified during the walkthrough. 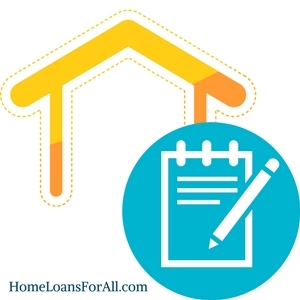 If you want more information on the specific items listed on the HUD inspection checklist, you can obtain a blank copy of the form directly from the HUD Inspection Form 52580 A here. Who Can Do a HUD Inspection? Performing a HUD inspection isn’t a task that everyone is qualified to do. You will generally want someone who has the necessary training, experience, and expertise to lend you a solid opinion on the overall condition of your home. There are some trainings and certifications that all HUD home inspectors should reasonably be expected to have. First, HUD does not generally approve inspectors who do not have construction experience. This know-how gives them the insight they need to identify major issues with the property. In some states, the inspector might be allowed to offer assistance with making any necessary repairs. Others will limit an inspector’s ability to offer repair work because it presents a conflict of interest. This is a necessity for an FHA home inspection. Some HUD homes do qualify for the FHA mortgage and will be held to this standard. However, conventional financing might not require the same type of inspection. In this case, your inspector might not need any previous construction experience. These are considered “special property inspections” and they only provide a cursory glance at necessary home systems. Ask how long your potential HUD inspector has been completing these walk-throughs. They should be able to offer their experience, training, and possibly even a few referrals before you make a decision to hire them. All HUD inspections must be completed by professionals who have performed the Uniform Physical Condition Standards (UPCS) training course. You must have some experience in order to take this course because it only speaks to the guidelines set out by the Department of Housing and Urban Development. They assume that inspectors already have a solid foundation of knowledge to complete a general walk-through. The additional training accepted by HUD in order to attend the UPCS class will vary. 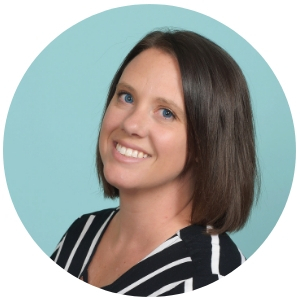 They are open to many different experiences and training certifications. Be sure to ask your potential inspector what their unique qualifications might be. You should also ask about their commitment to continuing education. This can be essential for keeping up with the modern home construction standards. Ask if your inspector maintains a membership with any state organizations or national inspection agencies. Membership to these large associations can give you some kind of reassurance that your HUD inspection will be completed to the highest standard. This also gives you a means of seeking more information on a potential home inspector. Every homeowner should have the right to attend their own HUD inspection. While you might choose not to attend, your inspector should be fine with your presence at the home during their walkthrough. If they balk at the prospect of your presence during the inspection, you should be concerned about their integrity and experience. 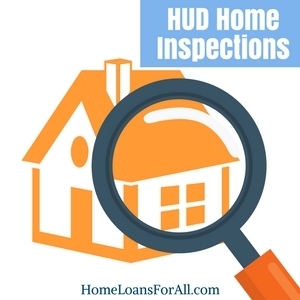 A HUD home inspection isn’t necessarily a requirement to purchase one of these homes, but every prospective home buyer should consider enlisting the help of a professional inspector. This can help you to get a feel for the basic safety and sanitation of the property you wish to purchase. Without the walkthrough, you might end up purchasing a home that will require a substantial financial investment to transform it into a habitable state. Take care to ensure that you hire a qualified HUD inspector and that they adhere to the HUD Inspection Form 52580 A. You can even take this list through the home yourself to see if you can spot any major issues with the property before you make a purchase. Take your inspection seriously and do everything in your power to make a wise investment in these HUD homes. It might pay off to ensure that the property meets the HUD inspection checklist and housing quality standards in the long run. How long does a HUD home inspection take? A HUD home inspection typically takes between two to three hours for an average single-family home. The report should be generated and completed within the next business day, though this will depend on the individual inspector you hire. How much does a HUD home inspection cost? The Department of Housing and Urban Development does not set a standard fee for home inspections meant to examine the HUD inspection checklist and housing quality standards. As a result, prices can vary across the country but they will typically range from $300 to $500. What is a HUD inspection on an apartment? A HUD inspection on an apartment is meant to ensure that the apartment complex is upholding the general housing quality standards expected by the agency. This may apply more frequently to section 8 housing or subsidized housing that works with HUD. What type of cleaning is expected for a HUD inspection? A HUD inspection isn’t necessarily looking for a property that sparkles and shines. Cleaning for a HUD inspection can be as simple as clearing away clutter and garbage, wiping down dirty surfaces, and making sure the space looks moderately presentable. This may not always be possible when purchasing a HUD home.